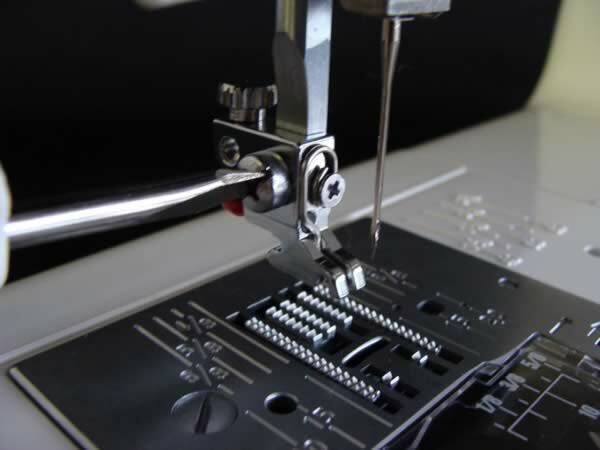 The best way to find out if a certain foot is right for your machine, first you need to understand what sort of sewing machine you’re trying to fit. Does your machine have Low Shank or High Shank? Low Shank & High Shank - what’s the difference? 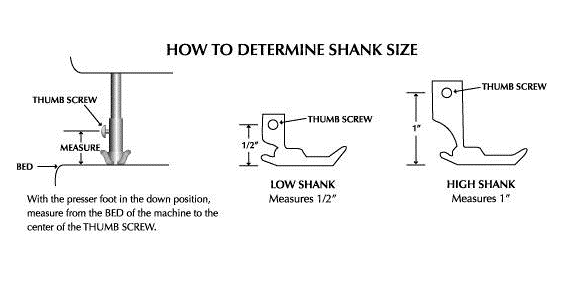 That means if you don’t know what sort of shank your machine has, chances are it’s LOW shank. 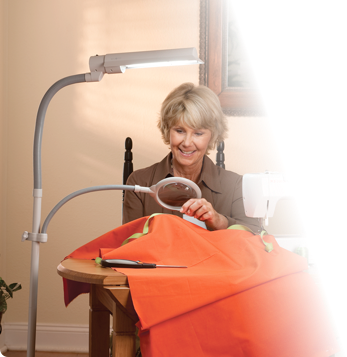 Because High Shank machines are generally “fancy” embroidery models which are more costly, and those who invest in these models tend to know exactly what shank type it is. And this is important because…. 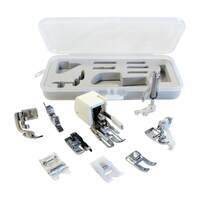 Some presser feet are designed to be fasten directly onto the shank, with the thumb screw, as opposed to simply being “snapped” onto the foot adaptor like most feet that came with your machine. Walking foot is a classic one in this category – and knowing the right shank height means you get it right from the start. Is it a Top Loading or Front Loading Machine? 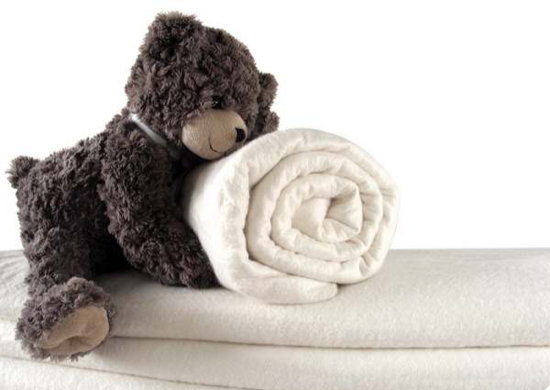 What it means by “Top-loading” or “Front-loading” actually refers to the bobbin position. 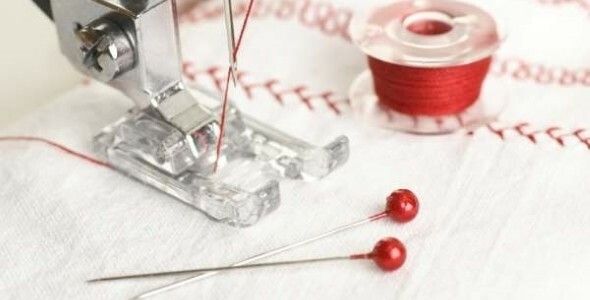 A “Top Loading” machine has a “drop-in” bobbin, where the bobbin goes in from the top, directly underneath your needle and presser foot. The lid is usually clear so you can see the bobbin. This type of mechanism is called “Horizontal Full Rotary Hook”, where the bobbin is driven by the machine to go round and round in full circle movements. Horizontal refers to the bobbin position – it sits horizontally in your machine and faces up. A “Front Loading” machine has a different spot for your bobbin. It is hidden behind the storage box, inside a trap door. You cannot see the bobbin at all until you open the trap door – and then you will see a metal bobbin case, which is removable. You filled bobbin goes inside this metal case. This type of mechanism is called “Vertical Oscillating Hook”, where the bobbin goes side to side instead of completing a circle. The bobbin stays vertical inside the bobbin case. Of course, there is another type of machine called “side-loading”. They are not all that common these days so chances are your machine isn’t one…. You might be thinking: what’s the position of bobbins got to do with what foot I can use? And you’d be right. It doesn’t matter, in most cases anyway. What it means is that certain presser foot may have specific alignment for one type or the other. 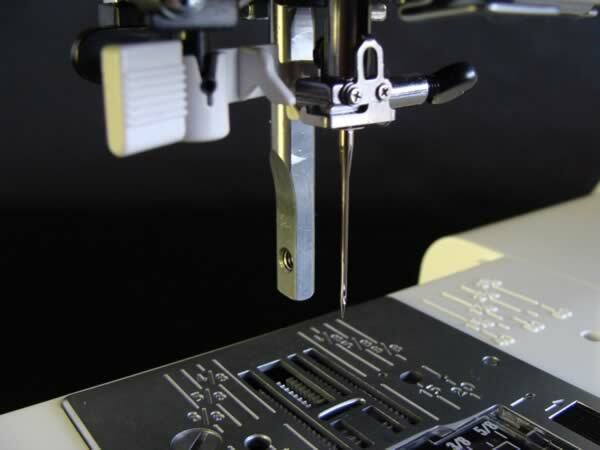 That means the needle position of the machine may not line up with the slot on the foot. And if this ever happens, all you need to do is adjust your needle position to the left or right, and you’d be fine. The alignment issue only becomes a problem if your machine does not let you adjust needle positions. 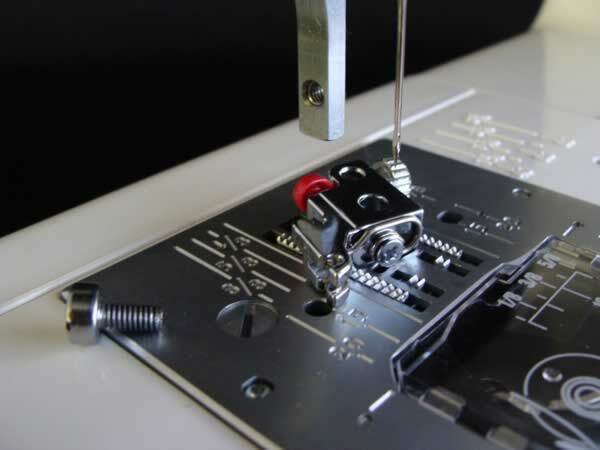 For example, the Janome JR1012 only has two needle positions, so you cannot fine-tune the needle to line up with the foot, and therefore getting the correct foot in the first place is important. 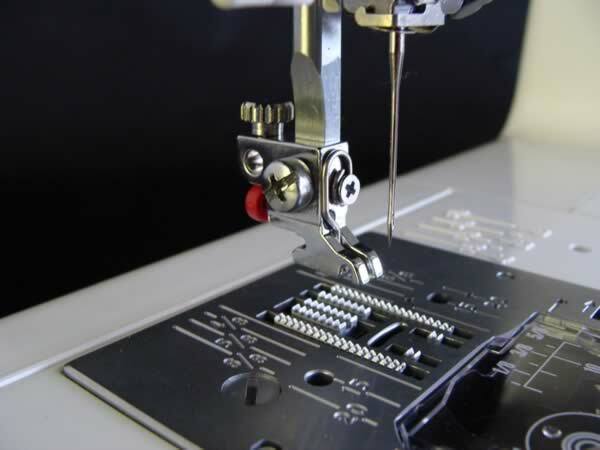 What’s your machine’s Maximum Stitch Width? 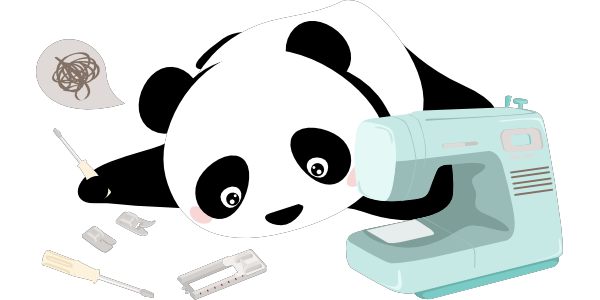 Most domestic sewing machines have either “ 7 mm” or “ 5 mm“. Some high-end models have 9 mm but they are the exception rather than the rule. 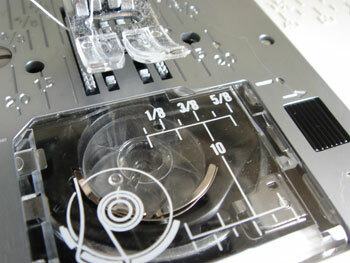 Generally speaking, the mid-to-high range machines are commonly 7 mm. 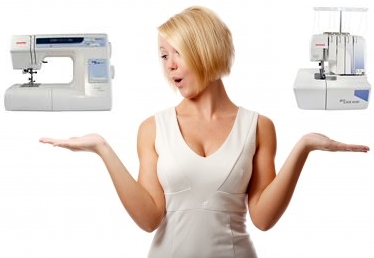 Janome DC4030 & DC2050, or even MC5200, belong in this category. Lower price range tend to have 5 mm as the norm. 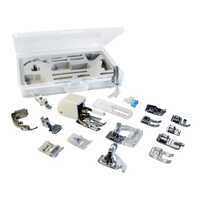 Janome JR1012 & RE1306 for example. And what’s this got to do with foot? A lot, actually. But that depends on which foot. You see, if the foot is design to fit a 5 mm machine, and your machine can go as far as 7 mm, then your needle may well hit the foot! Having said that, most of the presser foot that I’ve tried and tested are fine with either machines, which means you have a perfectly good chance of getting the foot you want, to fit the machine you have (and check with me if you’re unsure). Is it a Clip-on (or Snap-on) Foot? Or a Screwed-on Foot? More often than not, you’d see the same foot available in both versions. Both would work on most machines, though the snap-on version is generally more popular because it’s quicker and easier. So why would you need the screw-on version? And there is a good reason too. 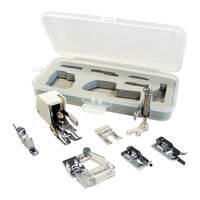 Some vintage electrical models of Singer, Elna, and even Janome do not use foot adaptors – therefore all of the feet need to be installed directly onto the shank. That’s when a screw-on foot becomes the only option. Also - see that little “bar” that you clip onto your machine? if you have a Pfaff or Husquavarna (generally European machines), you might find the bar too narrow. In which case the screw-on version would get you out of trouble, by simply replacing the existing foot adaptor with a whole foot with its own ‘ankle’, and screws directly onto the shank of your machine. Voila! 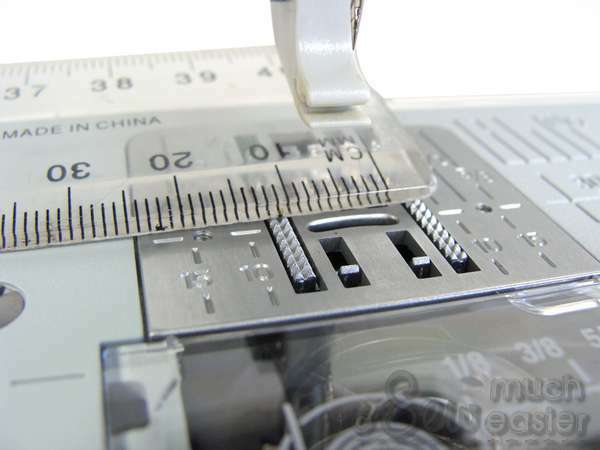 Almost all of the feet that came with your sewing machine will be the “Snap-On” type (such as the Satin Stitch / ZigZag Foot, Overedge Foot and our Quarter 1/4 inch Foot) as opposed to the “Screw-On” type (your Walking Foot, Darning Foot and Binding Foot belongs to this group). Now let’s look at how to install the foot…. 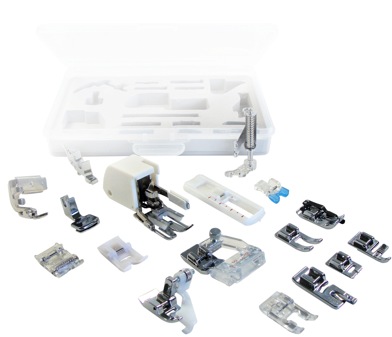 Now, your machine will now look something like this – ready to fit your screw-on foot! 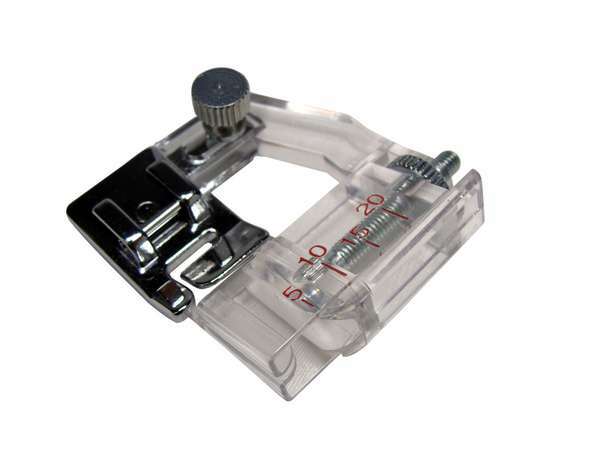 Generally, Japanese makes – such as Janome, Brother, Singer or Elna – are easy to find universal presser foot that fit. 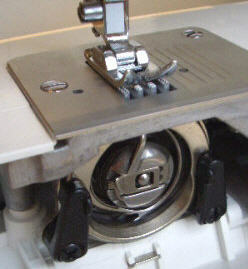 European makes such as Pfaff and Husquavarna Viking generally need a universal foot adapter. 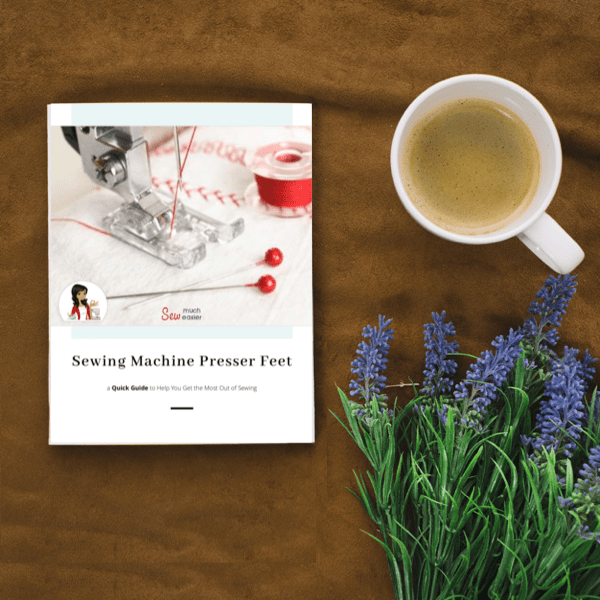 Hope this clears up a few things you might be wondering about sewing machine foot! Now that you know how to tell whether a foot will fit your machine, Which foot would you like to try? Download it Now - it's yours. I’ve been searching for hours to try to figure out if my vintage Kenmore needed a 5mm or 7mm walking foot. I tried to physically measure the widest zig zag but it looked like 6mm to me. Your instructions made it very clear on what to measure on the machine to determine the correct size (7mm) for my machine. Thanks! I very much appreciate it! Thank you so much for this post. 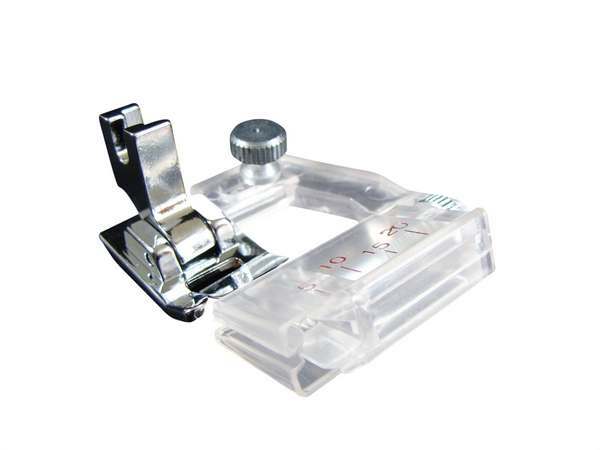 I have a Jaguar CD-2205 SM, and I'm quite hesitant to buy presser feet because of fit issues.....now problem solved! i love this article thank you so much! Hi Shelley, I had no idea it was such a minefield. Many thanks for such a great post. Thank u for the info. Very inlightening. Wow absolutely phenomenal post! I have a husqvarna Topaz 20 and know that's it's narrower but didn't know what to call the adapter piece I would need to convert it for standard feet. No more expensive feet for me! Thank you! Thank you this was so useful and informative. Thank you so much! I have a vintage White that is still in excellent shape. I’m finally getting the time to learn some more complicated sewing techniques. This was so helpful! I’m just now learning how to use a Singer I bought about seven years ago. The user manual isn’t very helpful for learning things like this. Have been looking for a couple of different presser feet, and Singer doesn’t seem to make them any more for my old model. Thanks so much for this post. I have an old Archer (singer) Finesse sewing machine. I purchased several low shank snap on presser feet. The little bar that snaps onto the shank is too small in diameter. I.e. It is too narrow to “snap.” I don’t see this problem discusses anywhere. Can you tell me how to determine if a presser foot I am purchasing will have a bar with the larger diameter? If the adapter on your machine is detachable (i.e. not part of the shank), then simply use a different adapter that has a narrow bar. If your adapter is part of the shank, then you’ll need to purchase snap-on feet with wider bars. 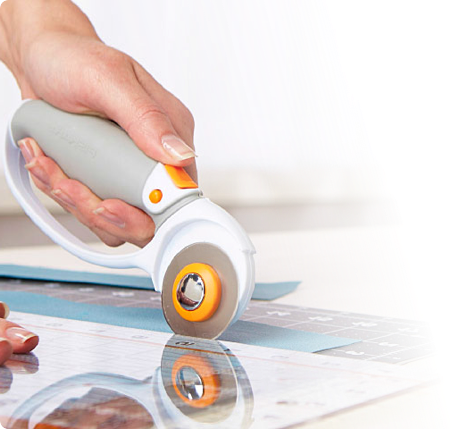 Pfaff / Husqvarna Viking makes them wider.